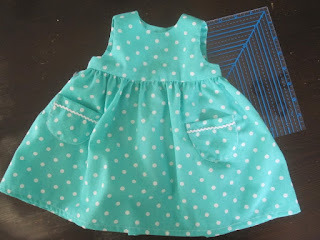 I came across a free pattern for a little dress. It's called Little Geranium. The size is 0-3 months. 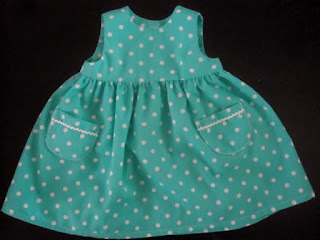 Since I have two brand new granddaughters, and since it will be summer soon, I thought I'd make the girls their first little dress. 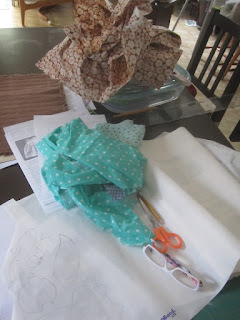 I headed for my bins of fabric looking for little remnants. I found two pieces that were similar in colour. These are the two fabric remnants I found. One is the polka dot and the other one is just underneath but is a bit hard to see. It has a small floral motif on it. The skirt part is the whole width of yardage which is between 40-44 inches. I had some teeny tiny rick rack and decided that it would be a perfect trim for the pockets. Just to give you an idea as to size, the ruler is an 8 inch square. Here's the second one I made. The colour is not true in this photo. The back yolk has a button or snap closure but I opted for circles of hook and loop (Velcro) since babies spend a lot of time on their backs or propped up leaning on their back. A button or snap just seemed like it might bother a little one. Here's a close-up of the wee rick rack. If you want a free similar dress in an 18 month size, I found one here. 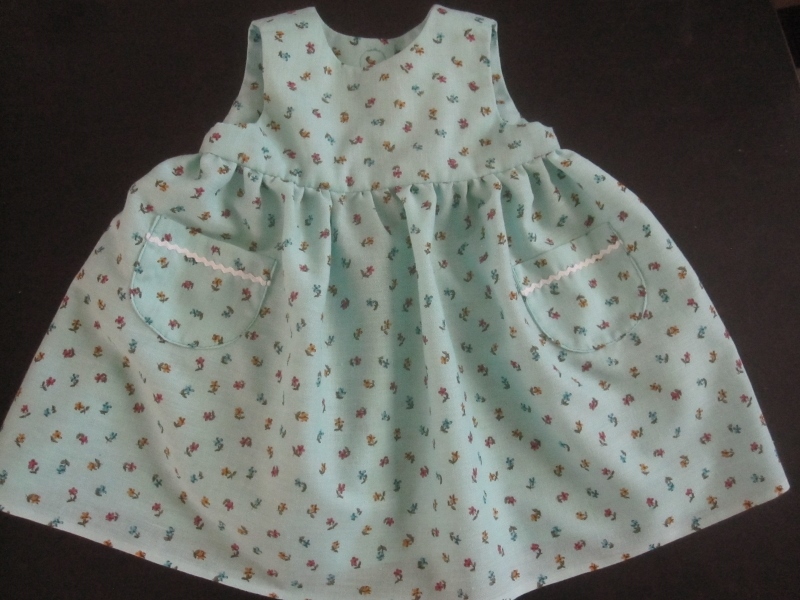 This is a super easy pattern - with French seams. My daughter wanted these pants for Teemu because they were roomy in the bum area and tapered down the leg. The front and the back are identical. I found a small piece of seersucker on my shelf that I had purchased when my children were little. It was a remnant and the price tag on it was $2.44. The second pair. 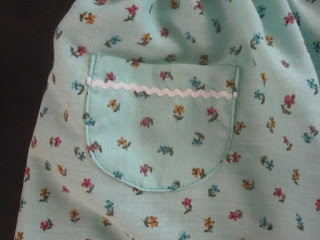 I really like this fabric and I found two different pieces of it. 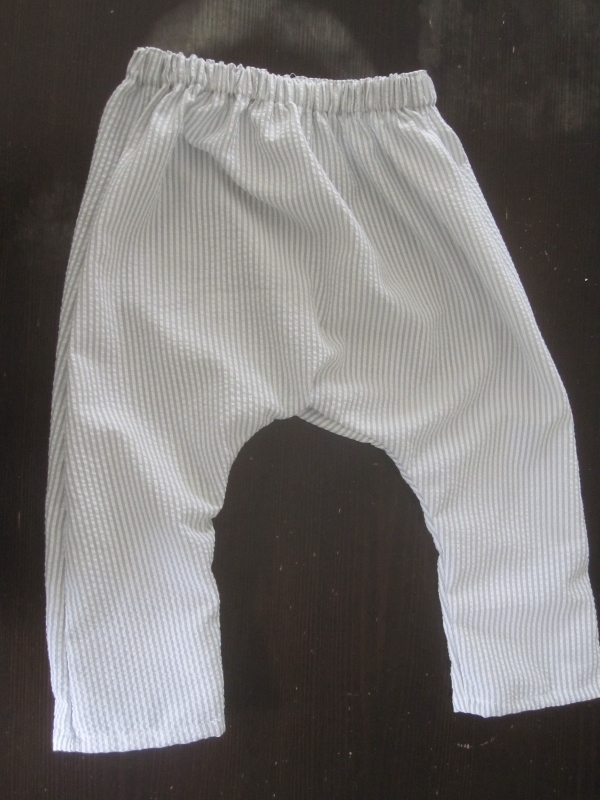 It's a soft cotton and the weight is just perfect for shirts and pants. That's it for now. I still have a bunch of sewing to do - some of it just repairs or alterations. Pop on over to see what's new. 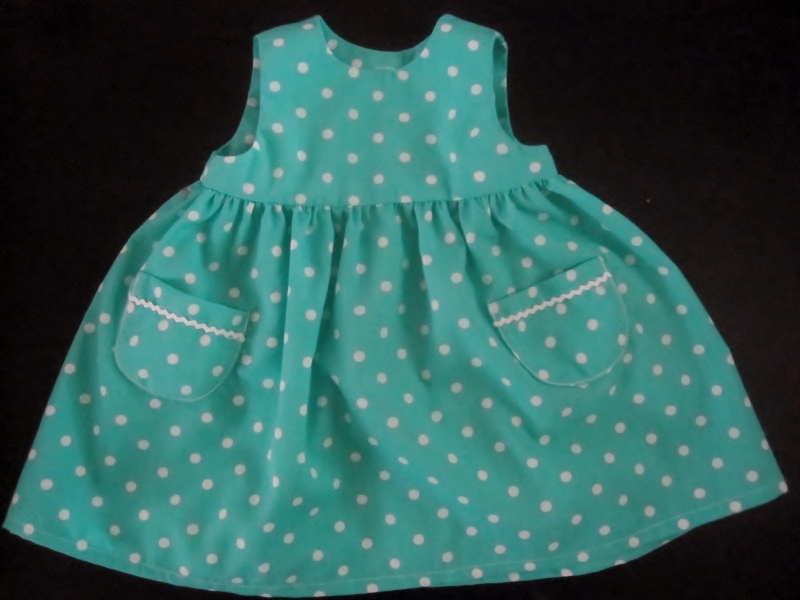 The dresses are as sweet as can be, and very tiny indeed! 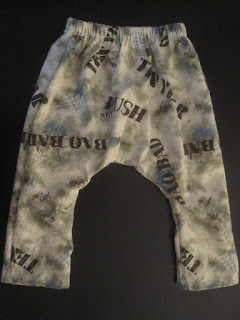 The pants look comfortable, and in a different fabric great for girls too. The fun thing about sewing for little children is that you can use the remnants from your stash and save a lot of money. Oh my, are those dresses cute. So girly and pretty. Nice job, Grandma. Will you be able to pass a remnant bin without stopping and going through it? Those dresses make me wish I could wear something like that - terrifically sweet, Dolores, and the rick-rack is perfect. Those pants look so comfortable and I love all the fabrics!!! Alas there are no little girls in my life (altho', come to think of it, a couple of my friends have little granddaughters).